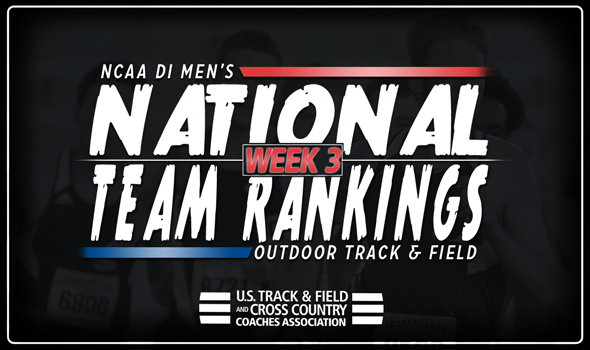 NEW ORLEANS – Florida strengthened its lead atop the NCAA Division I Men’s Outdoor Track & Field National Team Rankings in the final week that preseason marks will be used. When the rankings come out next Monday, it will be a total reflection of what happened during the current season, so there will be a true idea of the power players in 2018. You can’t talk about the 2018 season so far without mentioning Grant Holloway, who is one of the Gators’ stars. After all, this past weekend, Holloway clocked the fastest time since 2014 in the 110 hurdles when he finished in 13.16. That mark also doubles as the second fastest time in collegiate outdoor history behind record holder Renaldo Nehemiah’s 13.00. Florida also received strong efforts from Anders Eriksson, Clayton Brown and the 4×100 relay team as well. Eriksson moved up to No. 4 in the USTFCCCA Individual Rankings in the hammer throw. Brown is now seventh in the high jump and the 4×100 relay clocked the fourth fastest time of the season at 38.96. Everything remained the same behind the Gators in the top-10: Texas Tech is No. 2, followed by Texas A&M at No. 3, Georgia at No. 4 and Houston at No. 5, which locked in the top-5, then Oregon, Southern California, Alabama, Mississippi State and LSU rounded out the top-10. The biggest move of the week was turned in by Florida State, which went from No. 27 to No. 14 – its best outdoor ranking since 2015. The Seminoles surged thanks to Andre Ewers, who moved up to No. 2 on the USTFCCCA Individual Rankings in the 200 with his wind-aided time of 20.05 this past weekend. We’re in store for a huge weekend in collegiate track & field as both the Kansas Relays and the Mt. SAC Relays will be held. It only gets larger the following weekend with the Drake Relays, Penn Relays and National Relay Championships, so you don’t want to miss out. Be sure to check back throughout the regular season in advance of the 2018 NCAA Division I Outdoor Track & Field Championships, which will be held June 6-9 in Eugene, Oregon.